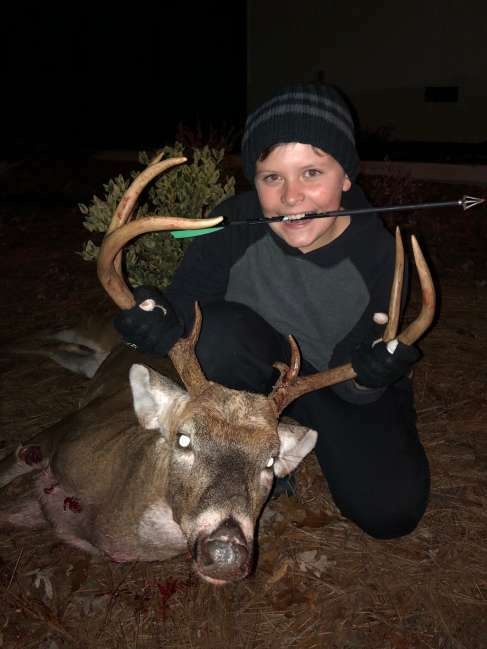 My 10 year old son got his first ever deer, and it was a huge 8 pointer! He got it with his crossbow at 30 yards. We can't stop reliving that entire night. Great memory.